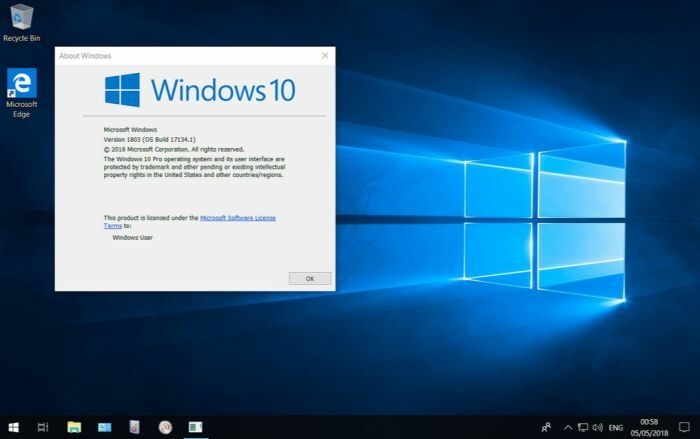 If your company does not have Windows Software Assurance, any upgrade means having to purchase Windows 10 Professional or license Windows 10 Enterprise. Migrating to Windows 10 takes some planning and preparation. Every domain is different, but the items we cover here should apply to most small- to mid-sized organizations. Microsoft made enhancements to Assessment and Deployment Toolkit (ADK) specifically for Windows 10. This will simplify the deployment process by automating user settings and applications you have installed on your domain. You have two additional scenarios besides the traditional “wipe and load” approach to upgrading Windows operating systems. Running an in-place upgrade automates the migration of user data, settings, applications, and drivers from Windows 7 to Windows 10—if you’re using Windows 8 or 8.1 this will work the same way. Dynamic provisioning allows IT to configure new Windows 10 computers onto the domain without having to re-image those devices. These new features eliminate the necessity for manually backing up user data prior to install, but it’s never a bad idea to do so. Implementing a 3-2-1 Backup Strategy is still the recommended course of action whenever business data is involved. Any important data should be saved to a file server in addition to any client PCs on your domain. A good place to start with a migration plan is taking comprehensive inventory of all hardware and software assets in your company. Inventory management is important for a whole slew of reasons, but for our purposes, it will help you prioritize your Windows 10 upgrade. If you do not track inventory already, you don’t need anything fancy especially if you’re a small- or medium-sized business. You can use a basic Excel spreadsheet to ensure that that all systems on your domain are taken into account so that you don’t leave any systems that will fall out of support. If you need some guidance and tools, Spiceworks offers a free asset management solution that should work just fine. The Snipe-IT application is another free open source solution frequently recommended by administrators to keep track of inventory. Taking stock of your software and applications is equally important. A software inventory system in the System Center Configuration Manager is a handy tool for this task. Applications designed in-house are the usual suspects for hanging up a Windows upgrade. Also bear in mind that Windows 10 installs with Microsoft Edge as the default web browser, so check for compatibility for the web-based applications used for running your business. If you have business critical applications with compatibility issues, make resolving those a top priority. You want to check that the hardware specifications are sufficient to run Windows 10. If your PCs are right up against the minimum recommended requirements, it makes sense to buy new PCs instead of upgrading. In years past, many organizations have used Windows end of support to mark refresh cycle for their computer fleet. Software upgrades are a convenient time to upgrade the hardware as well. You will notice that most new business PCs come with Windows 10 Professional licensing included. That’s an opportunity to get extra value when purchasing new equipment. When we migrated here at Newegg, many of the desktop PCs were near end of life and were replaced outright. Others received RAM upgrades, and some required installing a SSD to ensure performance was up to par. Note that Windows 10 is designed for fast SSD storage. The OS automatically optimizes TRIM settings if installed on a solid state storage drive. If you do not have SSDs in your environment, no worries—Windows 10 runs just fine on HDDs. Note that Microsoft issues patches and updates Windows 10 somewhat frequently, more so than with previous versions. It’s important to know which release of Windows 10 you will eventually install onto your organization’s PCs. Make yourself aware of the different release numbers and channel denotations that Microsoft assigns. Release numbers have a YYMM format. For example, Windows 10 1809 came out September 2018. Windows 10 1903 is slated for March/April of 2019. Certain Windows releases appear on what Microsoft calls the SAC-T channel. These are designed to install in your test lab so you can check that your applications run smoothly in Windows 10. Microsoft then follows up with a more “business ready” release later on the SAC-B channel. Ostensibly, the SAC-B releases are more stable. Know that the SAC-T releases provide an opportune time for internal testing for compatibility. If you find your internal systems do not work with Windows 10 you have time to work with development teams or software vendors on a solution. Or you might considering moving to new business applications if it’s completely necessary. Microsoft supports SAC releases for 24 months after they becomes available. Does that mean you want to roll out SAC releases ASAP for maximum length of support? Not exactly. As many IT pros will attest, it’s dubious practice to install a new release right after launch. But waiting too long would mean having to constantly update Windows in your environment. Generally, you’re looking for a balance—Windows expert John Hassell recommends rolling out six months after releases, and fall releases (1809, 1909) are the most practical. After your initial update, plan for regular update deployments to happen in a regular cadence. A common path for upgrading Windows in many organizations is to use Windows Server Update Services (WSUS). A WSUS server allows IT to manage and distribute updates using a management console. This conveniently centralizes tasks related to upgrading Windows, and allows you to automate the processes. If you use Windows Server 2012 or 2016, this is probably your preferred modus operandi. Orchestrating your updates with WSUS saves a lot of manual work in the final phases of upgrading Windows 7 to Windows 10. If you need help with procuring Windows 10 software or licenses, our specialists are available to help custom fit solutions to your specific needs. Reach out to your Account Executive or call us at (888) 482-6678 to reach a Windows licensing expert. Would you know if I need a Client Management License when using SCCM to deploy PC only but not managing or deploy software afterward?